Eating should be a one-way journey for your meal, from mouth to stomach. For those with gastroesophageal reflux disease, or GERD, back flow of food and stomach acids occur, causing burning chest pains. The doctors of Angelina Surgical Associates in Lufkin, Texas specialize in minimally invasive techniques that fix the problems that cause GERD. Call the office today to schedule your consultation. The condition called GERD occurs when the lower esophageal sphincter weakens or is otherwise unable to hold back the contents of your stomach from re-entering your esophagus. Since this is not only the food you’ve eaten, but the stomach acids necessary for digestion, the esophagus may become irritated or inflamed by the acid content, for which it isn’t designed to tolerate. Although acid reflux and heartburn are common conditions that occasionally affect many people, GERD is diagnosed in those who suffer chronically, such as several times a week or when episodes affect their daily life. Though GERD may be managed with medication or lifestyle change, in some cases, surgery may be needed to reduce the effects of the disease. The typical condition of heartburn is often associated with GERD, a burning sensation in your chest that may also rise into your throat. This may be accompanied by a sour taste in your mouth from acid reflux. Irritation in your throat may make swallowing difficult, or it may produce a dry cough. You may also have the feeling of a lump in your throat that won’t pass. For some, GERD may be controlled with medications, either over-the-counter or, in more aggressive cases, prescription drugs. Typically, treatment starts conservatively, advancing only when a certain class or level of drug proves ineffective. Our surgeons feature two techniques for treating GERD. Each technique is a version of fundoplication, a surgical method that strengthens the barrier against acid reflux when the esophageal sphincter isn’t functioning normally. Tissue of the stomach around the entry to the stomach is gathered and sutured around the lower end of the esophagus, strengthening the pressure at the lower end of the esophagus. This assists the function of the sphincter and reduces the backflow of stomach acid. 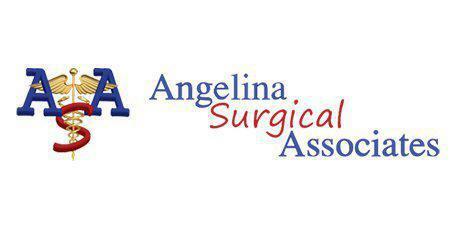 The doctors of Angelina Surgical associates use both transoral incisionless fundoplication, a method that performs the procedure from inside your stomach, and Nissen fundoplication, a laparoscopic surgical technique.